2011 was the year when Mobile Phone companies decided that they should make some Mobile Phones only for Girls, that is phones that are designed especially for girls in terms of design, features and applications.Samsung did it, now it is Fujitsu's turn to do the same.Fujitsu has come up with two new Mobile Phones that are especially designed for girls and these girls are being nicknamed "Cute Phones". 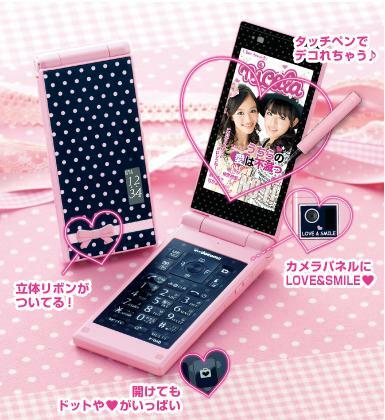 One of them is an Android based phone called F-03D Girls, which has been designed and developed with the help of a popular magazine, Popteen.The Phone comes with girly features such as pink lights at the bottom, cute designs around the camera, Photo Frames and pre-loaded applications which are mainly for the female users. F-03D Girls’ features Android 2.3, a 3.7-inch LCD with 480×800 resolution, 1GB ROM, 512MB RAM, an MSM8255 1.4GHz processor, an 8MP CMOS camera, 2.1+EDR Bluetooth, Wi-Fi IEEE802.11b/g/n, a TV tuner, an e-wallet function, and a microSDHC card slot. 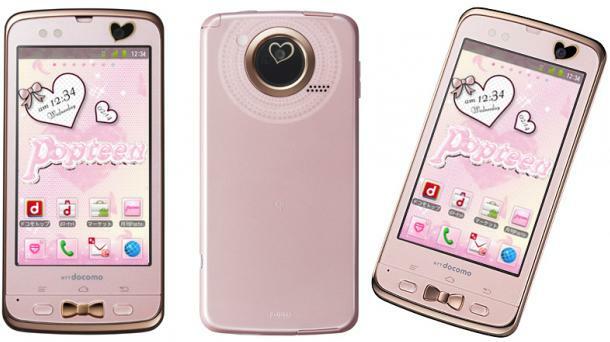 The other phone of the girls only series is called F-06D Girls, which was designed and developed with the help of Nicole, another teen fashion magazine like Popteen. The phone also has an 8MP camera with cute pre-installed photo frames, a pink stylus and an E-Mail application that helps make E-Mails more decorative and cuter.